Perch Awhile Cabin: 1 bed / 1 bath. Sleeps 5. 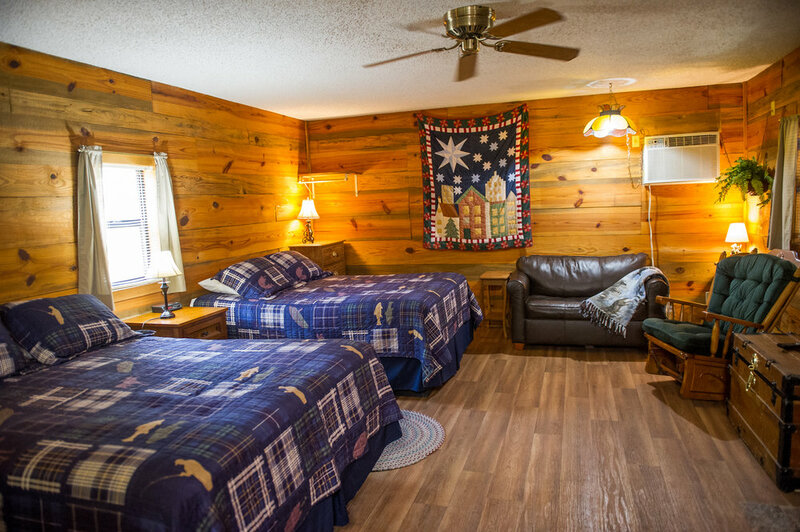 Comfortable, family friendly studio cabin with 2 queen beds and single pull out sofa, one bath with shower enclosure. 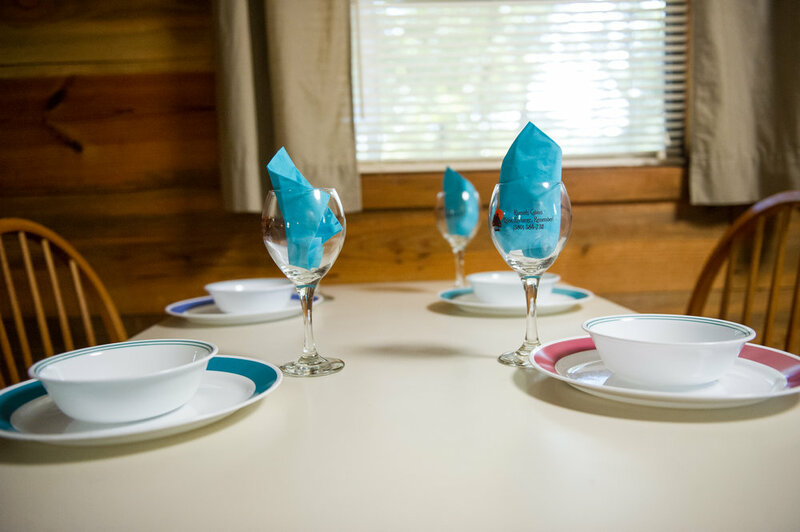 Kitchen equipped with microwave, stove, refrigerator, coffee maker, dishes, pots and pans for basic cooking. 32″ flat screen TV with cable,DVD, and free wifi. Electric fireplace, fire ring, picnic table, charcoal grill, boat parking. Small supply of DVDs and games.